World Cup 2014 - Group E: Is France a serious outsider for the World Cup? We have now made it halfway through the eight groups of the World Cup. This group includes, among other things, a repetition of the clash of Switzerland and Honduras from 2010; while France are looking to change the rather unlucky picture they painted they left the world with after the last World Cup tournament. Come along and let's take a closer look at Group E.
Group E is one of the groups that, when looking at the teams, should be somewhat predictable. Even if France had to go through two play-off matches before being able to celebrate their World Cup participation; expectations are big for the young team, where Didier Deschaps have gotten control of the power balance. Switzerland fond their way to t he World Cup without too much hassle, while Ecuador had to hold their breath all the way to the last round, before they could celebrate their participation also. Honduras are participating in the World Cup only for their third time, but showed surprising strength in the qualifiers. 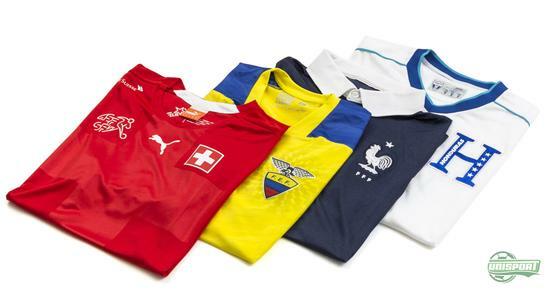 Group E starts off with a clash between Switzerland and Ecuador, and France and Honduras. Two matches that will be the first meetings for all teams involved, as neither Switzerland v Ecuador nor France v Honduras have met each other before. It shall certainly be exiting to follow the opening round in Group E, as we know how hard it always is to the initial game at big tournaments. Switzerland are building on a talented generation, where, for example, the Under 21 national team went all the way to the final in the Euro Cup in 2011. In this team you would find Xherdan Shaqiri and Granit Xhaka, who today are among Switzerland's stars. The country boasts a nice balance between young talent and experienced players, and they are surely aiming to make it through the group stage. 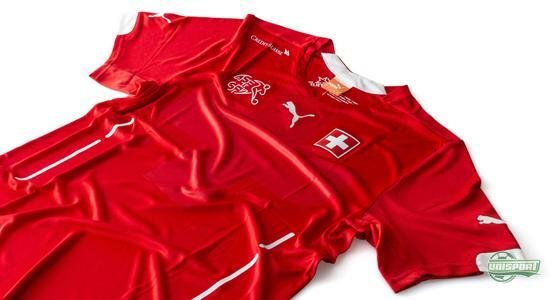 Puma have helped in terms of designing a World Cup shirt that carries the iconic Swiss cross, which represents the pride of the country. 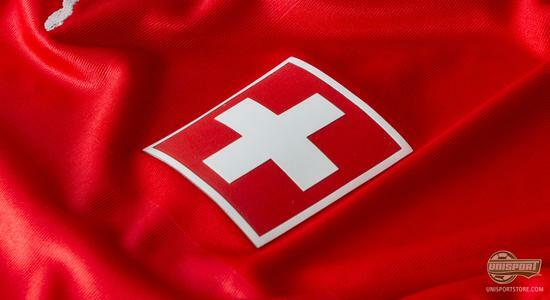 There is no doubt that Shaqiri and Co. will carry the Swiss colours with pride and a belief in making the nation proud. Pre-order your Swiss World Cup shirt right here – just 74 Euro. Ecuador are back on the biggest stage in football after being absent for eight years. Even if they at times look to be ready to take the World Cup by storm, they did leave the qualification looking more uncertain, as they almost through it all away in the last matches. They did however make it, and Valencia and Co. are now very much ready to make their country proud. 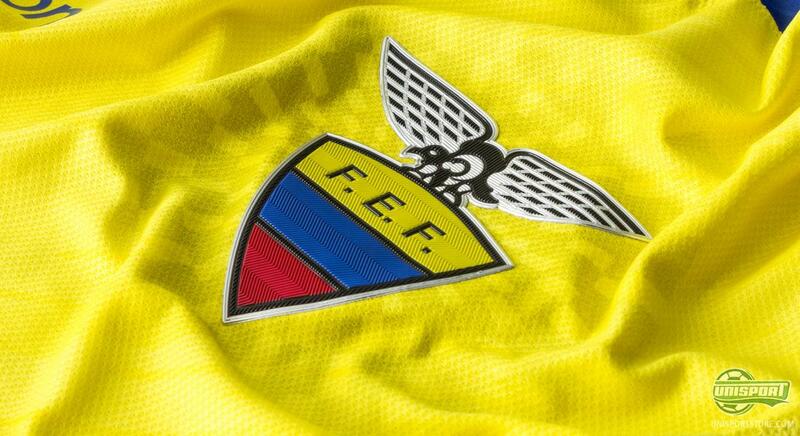 Ecuador are going to the World Cup as the only country wearing their national brand Marathon. 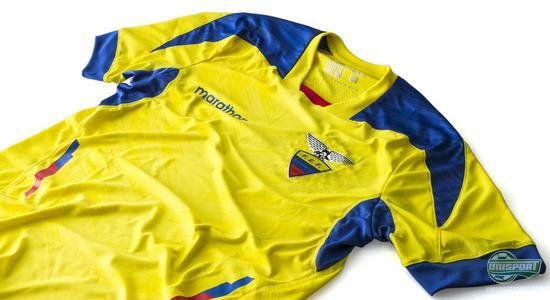 And just as this is Ecuador's third World Cup participation, the shirt will also be Marathon's third World Cup contribution to Ecuador. The shirt carries three characteristic colours that make up the Ecuadorian flag, which is Yellow/Blue/Red, with the yellow colour as the dominating colour. Exactly like La Tri. Pre-order your Ecuador World Cup football shirt right here – just 71 Euro. The group favourite must be France. Even if the French have not been able to show the level that hey have around the millennium. It does, however, look like Deschamps has gotten control over his troops again and the French looks like a team that should be considered a serious outsider to take the World Cup title. When it comes to their national team shirt, they are certainly wearing something worth admiring; and it manages to combine classic design with modern fashion. 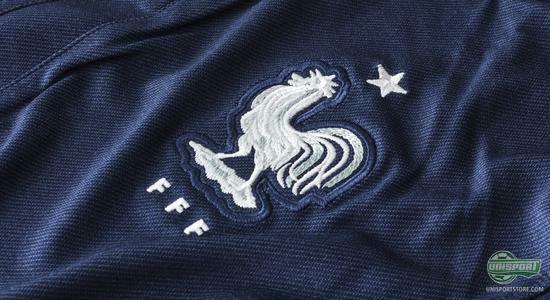 Specially characteristic about the shirt is Nike's redesign of the Gallic rooster that is placed over the heart, and which has been enlarged to emphasise the French' proud symbol. 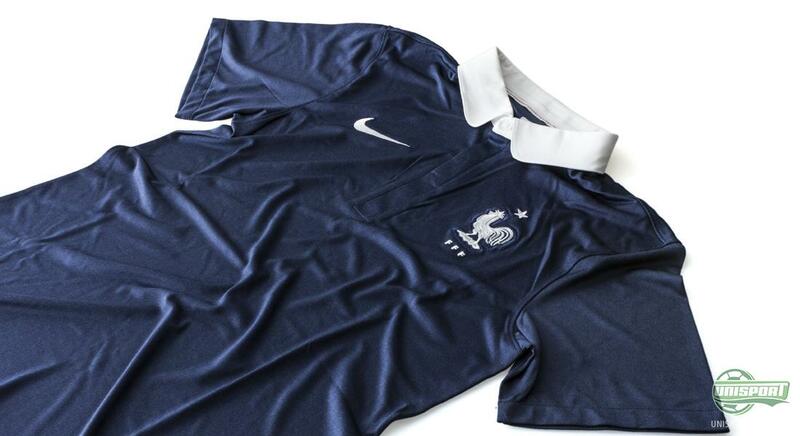 Pre-order your French World Cup football shirt right here – just 76 Euro. The last country in Group E had a rather surprisingly successful qualification in the CONCACAF, which is Central American qualification tournament. Among other things, they managed to beat Mexico, and secured an early ticket to the World Cup together with USA and Costa Rica. 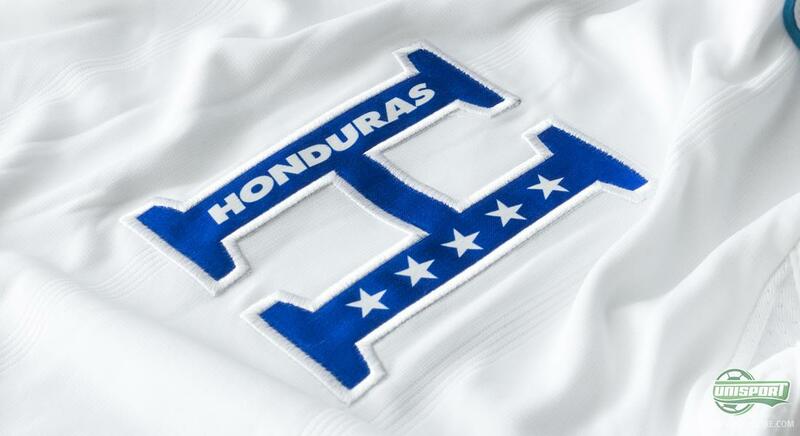 Honduras are participating in the world cup only for the third time in the country's history. On the other hand, it is the second time in a row that we get to see Honduras on the very big scene. Back in 2010, Honduras just managed to get one point. It may, however, be a result of relevance as it was against Switzerland who they will meet again this year. 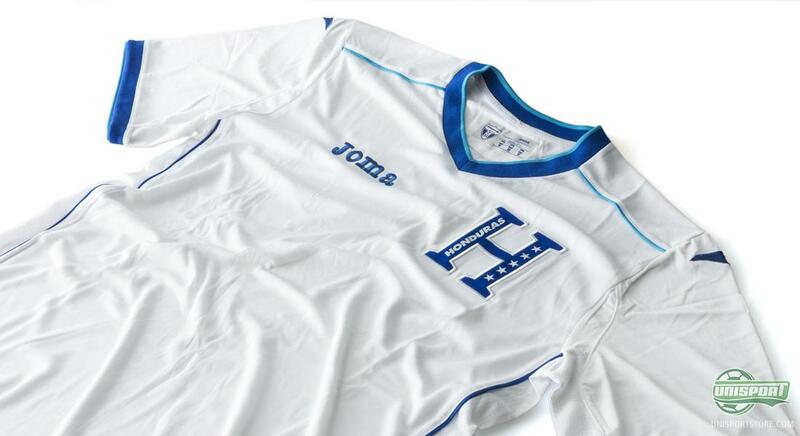 Joma have taken care of the Honduras national team shirts for the World Cup and it comes with a very simplistic design in White/Blue with a large H over the heart, to represent the proud nation. Pre-order your Honduras World Cup football shirt right here – just 71 Euro. Group E will be interesting to follow, especially to see if France are really gonna do the business, unlike four years ago. And while Switzerland may be considered as the favourite to take the second spot, both Honduras and Ecuador are countries that a difficult to place and should therefore not be written off. How are your predictions for Group E? Take your football passion to a social level and leave a comment on Facebook, Twitter and Instagram.